Earlier today we saw that Apple issued an apology for not clearly communicating that it was capping the performance of certain older iPhones when their battery health degraded and offering to drop the price of battery replacement for these devices down to $29 for the entire year of 2018. Now, iFixit has announced that it too will be slashing the prices for all of its iPhone battery replacement kits down to $29 or lower. These kits are available from iPhone 7 and all the way back to iPhone 4S. A typical iFixit battery replacement comes with the battery along with all the tools that you would need to open up the phone and replace it yourself. This is where it gets tricky and where you need to read closely before you open a new tab and order one of these for yourself. The person replacing the battery is you. Not a certified Apple professional but you, a person with $29 and some spare time. Like most phones today, iPhones are not meant to be opened by non-qualified personnel. 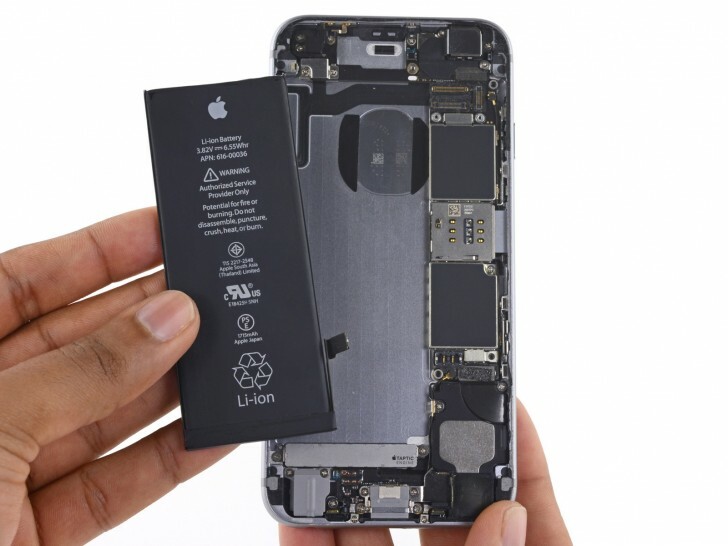 If you mess something up, that's on you, not iFixit and certainly not Apple, who will be more than happy to charge you even more to fix whatever you broke on top of that battery. The most important thing to consider is that the display is glued to the phone. After you unscrew the phone you literally have to pull out the display using the provided suction cup. If you snap a cable or the display itself while doing this, that's another $129 to get the display fixed. So while this is a great option for those devices that are not part of Apple's replacement program and for people who know what they are doing, if your device is one of those specified by Apple then it's best to have the experts do it for you. Alright, alright you win. But Kirin is still less efficient than exynos or qualcomm.